When you are flaunting a saree look, a plain blouse wouldn’t add enough glam to it. 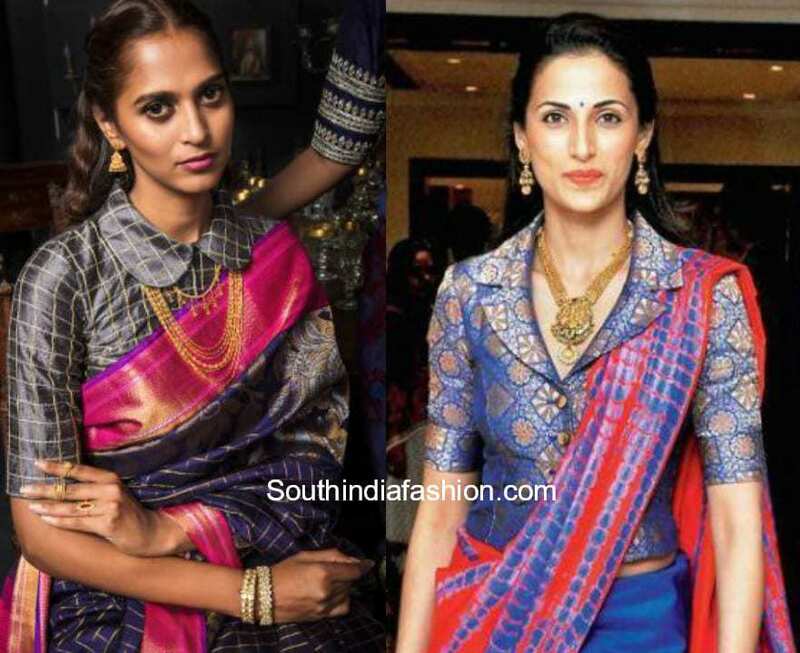 Pairing up your silk saree with a glamorous designer blouse will compliment the look. With the weddings and festive season around, it’s time to pull out our silk sarees and pair them up with stylish blouse designs. 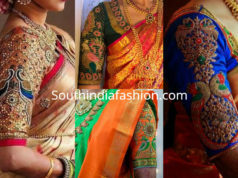 However, it is not always necessary to wear your silk sarees with embroidery blouses. You can also experiment them with stylish and trendy patterns. 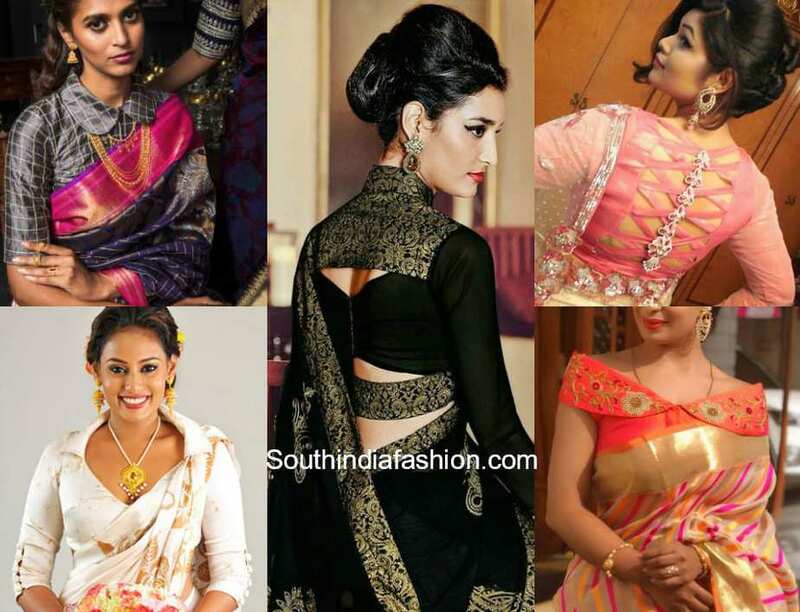 Silk sarees with pattern blouses look dressy enough and also add a glamorous touch to your saree look. 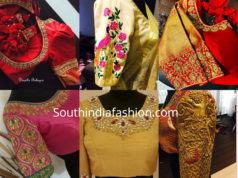 So today we bring you trendy blouse patterns for silk sarees and different styles to experiment with. Enhance your silk saree blouses with patchwork blouse designs or simply add a statement with frills or ruffles detailing on the sleeves. High neck pattern designs look very modest and sophisticated and this style can be flaunted by anyone and at any age. From party wear to wedding reception, the trendy yet classy pattern silk saree blouse designs are sure to leave a lasting impression. 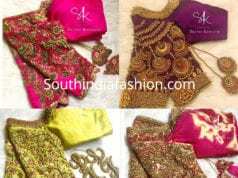 If you want to make a bold statement with the neckline, a bold off shoulder saree blouse pattern will enhance your silk saree like none other. From trendy cold shoulder, off shoulder or halter neck designs will definitely take your style quotient up by a notch. Collars are very much in and one can never go wrong with a collared silk saree blouse. With a variety of collar styles, choose the most suited style depending on your personality and style it right with the appropriate accessories. 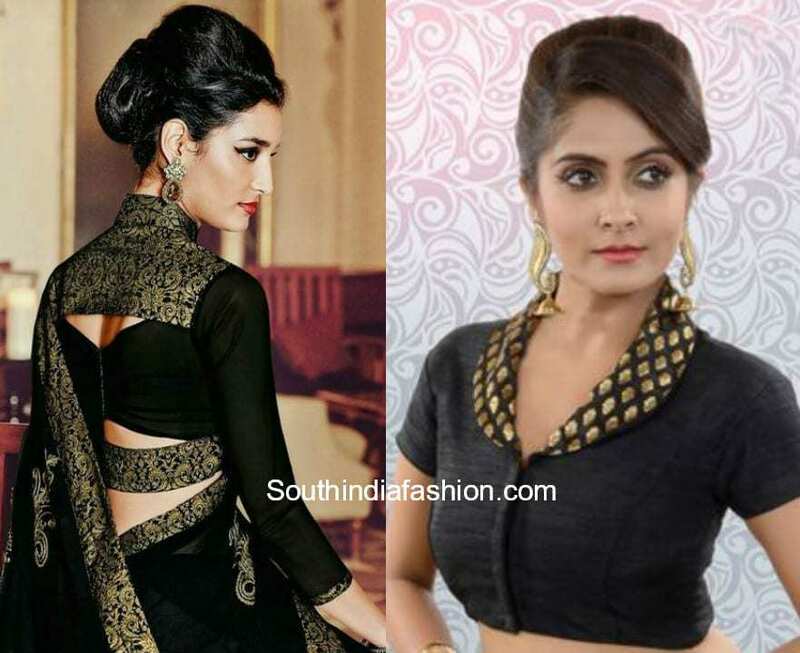 Collared blouses exude confidence and add a very classy touch to your saree look. Even simple details like ruffles, fringes, tassels, collars, cut-outs and patchworks create interesting patterns. 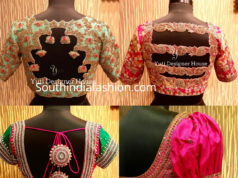 The pattern blouse designs are cost friendly and look equally royal as the embroidery blouses. 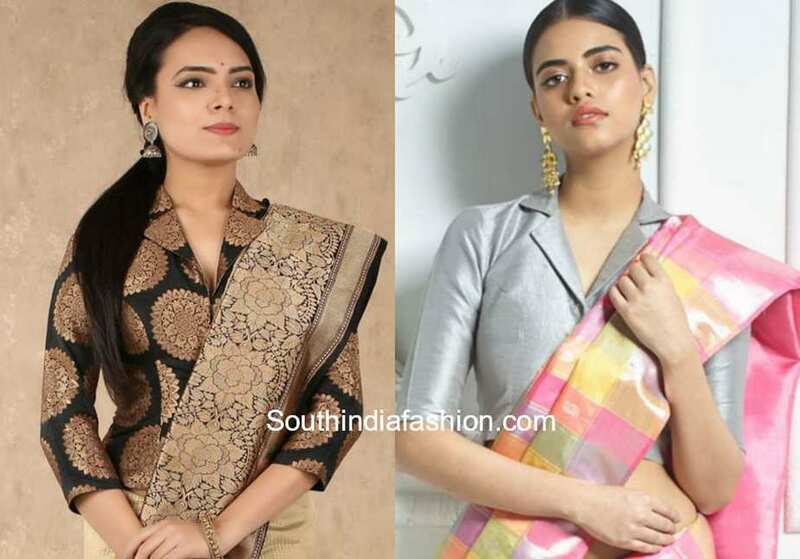 So if you are looking to glam up your silk saree blouses with interesting designs, try out these modest and trendy blouse patterns and make heads turn.